First came the monthly Disney Villains collection starting in December of '13. Then the Disney Girl/Pixar monthlies started last November. 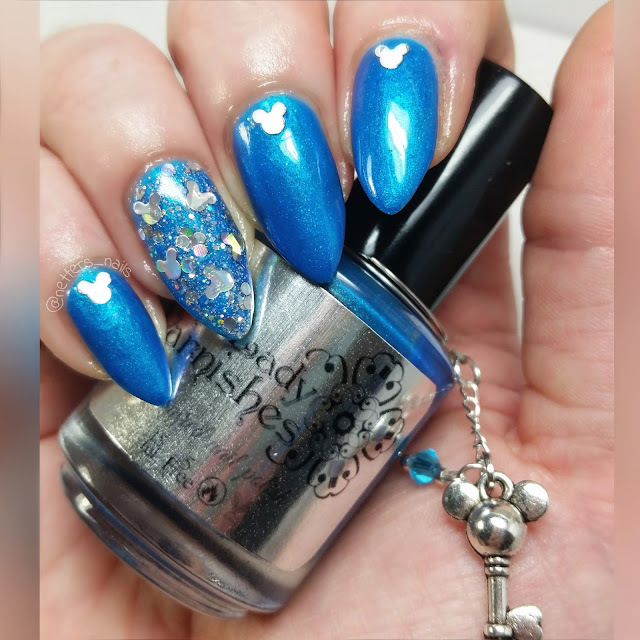 And now Kirsten has done it again with the Keys To the Kingdom collection! 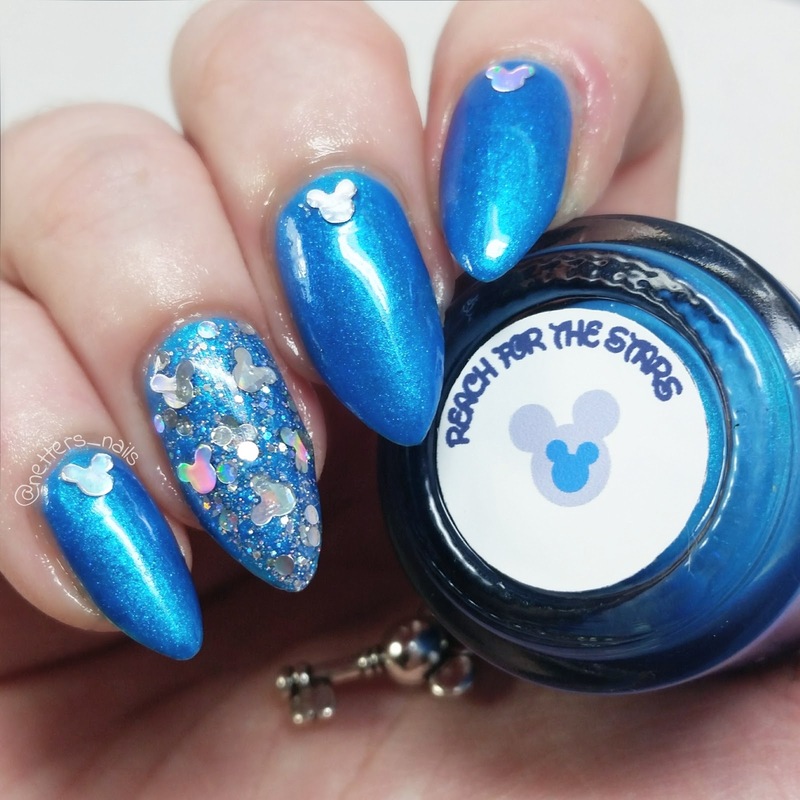 First up for August is Reach for the Stars inspired by Space Mountain. 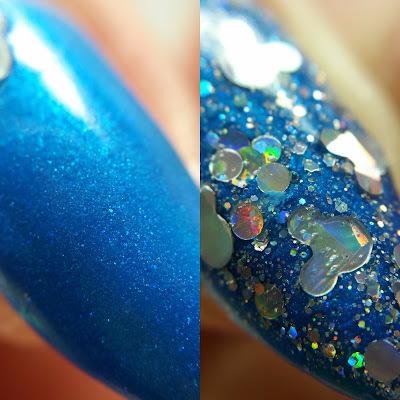 Also with the first 5 orders she included a special mini named Space Mountain Mickey. Each bottle also comes with a hidden Mickey inside and this adorable Mickey key charm. 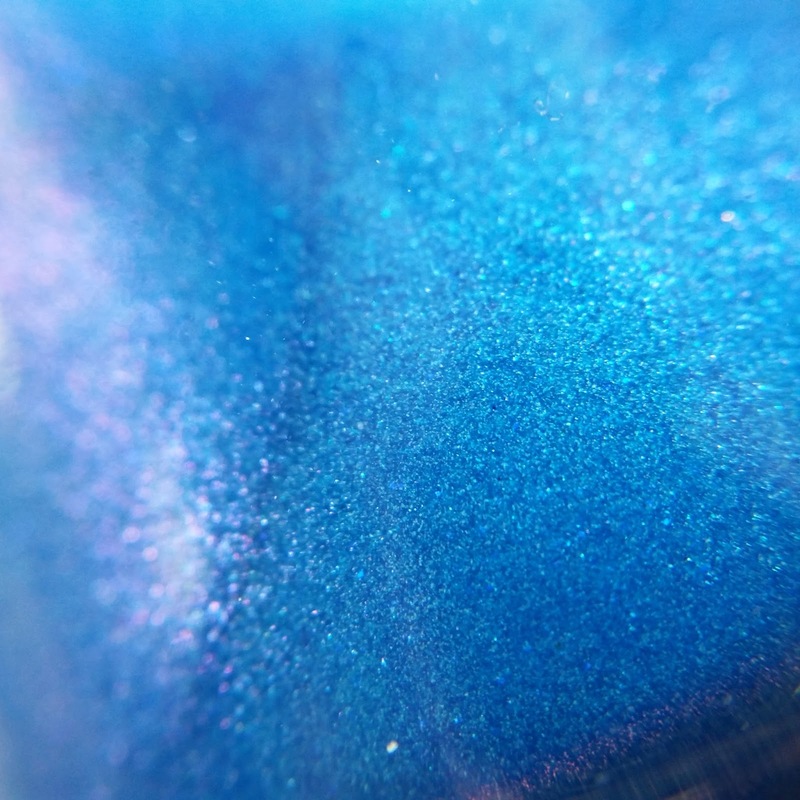 Reach For the Stars is a glass fleck shimmer with a violet shift and covered opaque in 3 coats. You can also choose whether or not to have glow in the dark pigment added. Look at the cute underside label! Now if you want to get your hands on this better go now! Because after August is over once it's gone it's gone!